A MOTORCYCLIST HAS died following a collision with a car in Co Cork this evening. The incident happened at Lough Beg, Ringaskiddy at around 8pm when the motorcycle collided with a car. The motorcyclist, a man in his mid-40s, was pronounced dead at the scene. The body of the man remains at the scene. His remains will be removed to Cork University Hospital where a post-mortem examination is due to take place. Gardaí are appealing for witnesses to contact Togher Garda Station on 021 494 7120, the Garda Confidential Line on 1800 666 111 or any garda station. Email “Man (40s) dies after motorcycle collides with car in Co Cork”. 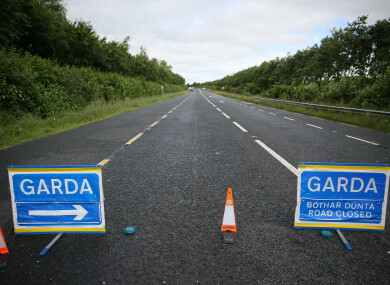 Feedback on “Man (40s) dies after motorcycle collides with car in Co Cork”.